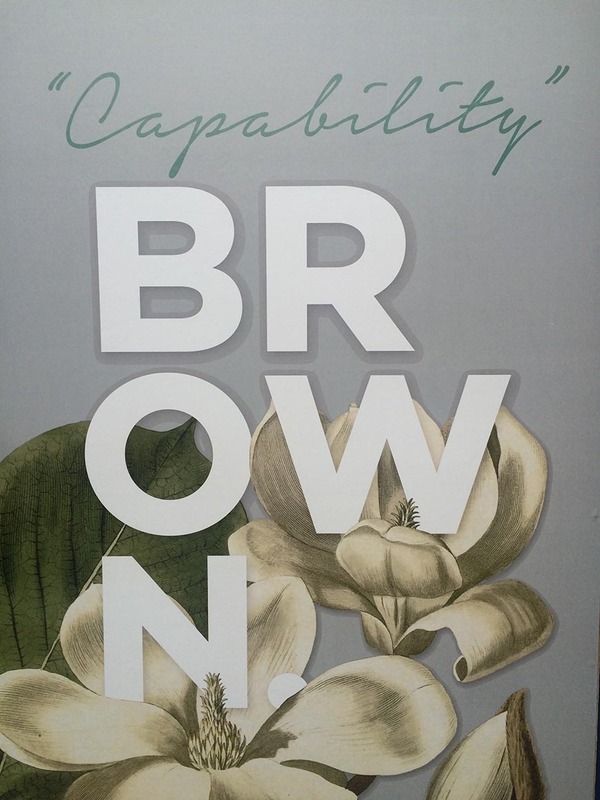 Changing the Landscape: Capability Brown at Syon opened at Syon Park to mark the 300th Birthday of Lancelot Capability Brown. His effortless signature style for creating open expansive gardens and landscapes became synonymous with English elegance during the 18th century. Often referred, as an earthmover Brown's vision was remarkably forward thinking and modern. He was able to design immense spaces undergoing enormous transformation. With the foresight that the true vision of what he intended to achieve would never be seen in his own lifetime or in the lifetime of the commissioner. The Garden at Syon Park is an example of one of Browns smaller but best preserved gardens and sits directly opposite Kew Gardens In West London. Kim collaborated with Susan Darling garden historian and researcher for the past two years to curate this exhibition. Susan transcribed the original hand written receipts from the build and construction of the garden dating from 1754. These receipts or vouchers as they are also known have been kept in the archives at the Northumberland estate in Alnwick Castle. Together Kim and Susan worked on presenting some of the lesser-known details. Bringing the research together to showcase subjects such as the construction of the two lakes, the planting and the people involved in creating this wonderful space. The exhibition will be open from July 2016- 30th October 2016.